The 26” Classic Bean Bag from ECR4Kids is a fun and comfortable place for children to curl up and read a book. 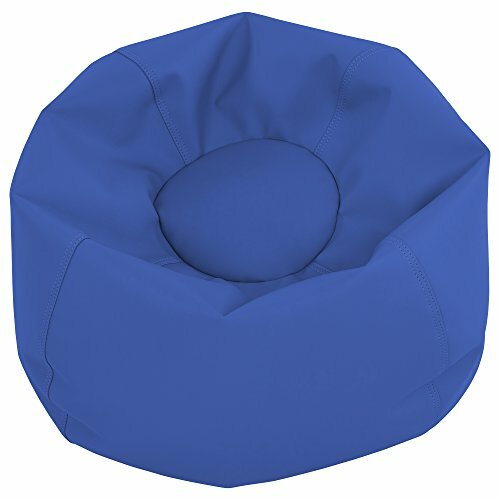 Perfect in a classroom, daycare or home environment, the sturdy vinyl bean bag features double-stitched seams for durability and two locking-zippers to keep beads safely inside. The junior size has a 26" diameter and is recommended for use by children ages 2 years and up. The ECR4Kids Classic Bean Bags are available in four attractive colors: assorted, blue, green, and red. With a concentration on the Pre K-12 sector, ECR4Kids offers a wide range of products from tables, chairs and desks to cots, mats and a variety of storage cases in solid wood as well as scratch resistant double-sided laminate. View More In Chairs & Seats. If you have any questions about this product by ECR4Kids, contact us by completing and submitting the form below. If you are looking for a specif part number, please include it with your message.